To activate portable mode, create timevertor.ini in application folder, or move it from %APPDATA%\Henry++\TimeVertor. Binaries have GPG signature timevertor.sig in application folder. 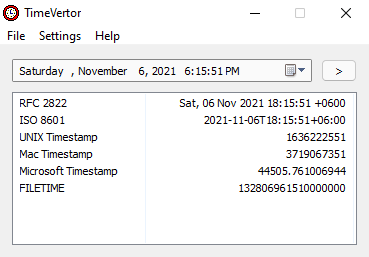 Put timevertor.lng file into application directory and restart the program.